Add the Prefix Blog feed to your news feeder by clicking on the appropriate button below. 11-June-2007 Not the networks fault? One of the most common user complaints is about network speed and the obvious response for many a network manager is to throw more bandwidth at the problem. However this can not only be costly but pointless; network problems are easy to misdiagnose if you don’t have the appropriate real-time tools to analyse performance. In many cases the users themselves are the ones who are handicapping operations by clogging the network with inappropriate activities. Real life examples include users who are logged into IM all day and streaming webcams, those who blanket email workmates inappropriately with huge attachments, those who print vast amounts of data unnecessarily or run too many unused background applications. Yet all of these issues can be dealt with effectively by policy creation and enforcement - such as that offered within PrefixNE - backed up with user education. For instance, using simple tick-boxes applications such as IM can be disallowed immediately. However, the real name of the game is to monitor network performance and track trends and patterns proactively in real time. This approach means that network managers can call the shots for once, and identify issues before they become problems which impact business performance and user attitude. New research from Fujitsu reveals that 2/3rds of IT professionals are wary about introducing new technology because of the cost and potential disruption they may cause. Well, good! But surely this level of caution amongst IT professionals shouldn’t be a surprise? In my view, the alarm should be that around 30% of IT directors are forging ahead with new tech purchases without due regard for the potential disruption to business processes and the work of the IT team. Every change, IT or otherwise, entails risk and that must be measured and quantified before a decision to change can be justified. Short term wins and losses must be stacked against long term benefits as part of the decision-making and this includes how complex and time consuming the adoption process will be. Some aspects of ITAM, such as SAM, can be complex and time-consuming to secure and involve considerable effort from the team to achieve. However, this should not deter users from making the move. Systems such as PrefixNE offer a number of ‘quick wins’ that can justify a purchase decision on their own merits alone. For instance, the 2-click ability to control applications and outlaw software such MSN Messenger and P2P apps that are soaking up network bandwidth, or the remote and automated deployment of software updates and patches across a dispersed network. So yes, we should all be cautious but not short-sighted! 11-June-2007 Flexi-working and solid management? Tele-working and home working may have had many false starts, but at last it looks like it may actually be taking off. The proportion of staff working one or more afternoons a week at home has more than doubled in the past two years and now stands at almost a third of the population. British working parents already have the right to flexible working and after April 2007 this will be extended to cover anyone who has a ‘caring responsibility’. The most successful companies have already embraced flexi-working and many are taking steps to extend it to all their staff as it not only boosts productivity, but loyalty and job satisfaction. Successful teleworking structures are reliant on good technology, not least of which, a broadband connection. Yet, there are significant challenges for any organisation embarking on the introduction of flexi-time schemes. The advent of tele-working means that IT will grow legs and walk out of the door along with valuable and perhaps, confidential, company data. It doesn’t need much imagination to see that security practices will need significant ‘beefing up’ as the company’s perimeters become more and more permeable to threat, attack and loss. Management of network assets, support of remote workers and license compliance all become far more complex once workers are off-site and the arguments for real-time asset management become undeniable. For instance, how would a network manager check inventory, assets and the spread of malware from his remote console, how could he monitor and police user behaviour and how could he plan patches and upgrades for the user community without the use of real-time reports and alerts? Well it would be possible, but he’d need a heck of a lot more time. Comprehensive, real-time, automated asset management is not only useful, but essential for any company considering how to glean the benefits of teleworking. Piracy is a problem as old as hills and probably as hard to shift. Cynics amongst us would probably say it’s a fact of business life and that Microsoft is banging its head against a brick wall in its noble battle to reduce software piracy rates. Recently the company said that it plans to take even stronger action against users of counterfeit software and that it will engage with the reseller community to rid the UK market of pirated software. Apparently the rate of illegal software in the UK is still around 1/3 – where it has hovered for the last decade or so – and the problem is endemic in the mid-market. So why does piracy exist? Perhaps it’s just human nature to plump for the cheapest and seek short-term resolutions. Somewhat at odds with the role of an IT manager who believes that IT is a business enabler? The argument against software piracy is irrefutable; yes it is theft, yes it damages the software industry generally, not just the giants like Microsoft and yes, business software is a business asset and should be treated as such. 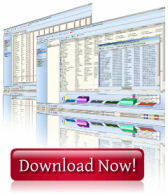 Counterfeit software is rarely of the same quality or reliability. Oh, and don’t forget the loss of reputation and punitive fines should you get caught. Would you like some carrot with your stick? The benefits of license compliance and automated software asset management are pretty irresistible too; budget savings; better efficiencies and improved asset control.